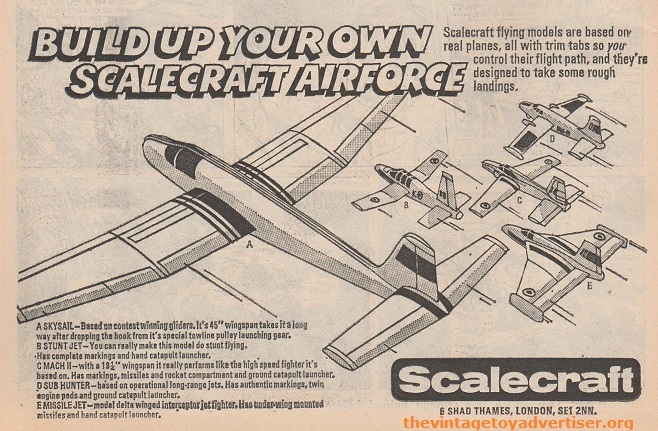 Scalecraft Model kits were produced by the Eldon toy company in the UK from the late 1950s up to 1977 when they were taken over by Airfix. 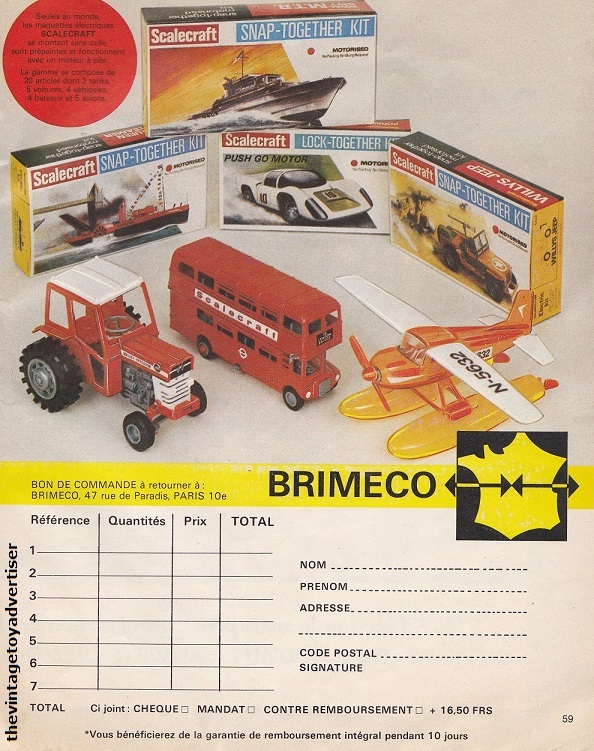 Typical Scalecraft sets featured cars, military vehicles, boats and aeroplanes. They came as ‘snap-together’ kits and were sometimes motorised. This entry was posted in SCALECRAFT MODELS and tagged 1970s toys, 1980s toys, Airfix, Eldon toys, Scalecraft models, snap together kits, thevintagetoyadvertiser.org, vintage model kits, vintage toy adverts on September 24, 2013 by The Vintage Toy Advertiser.